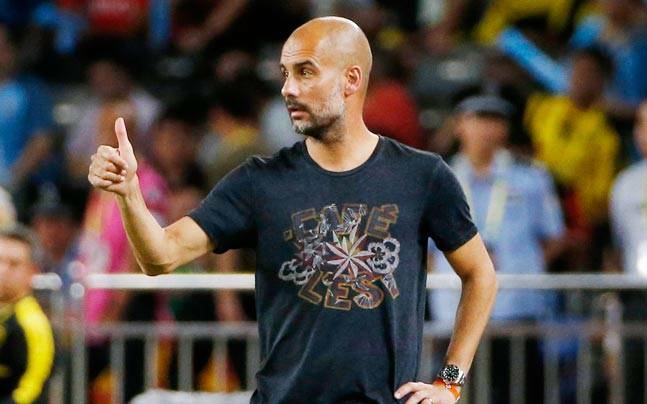 One of the first tasks facing Pep Guardiola when he took up the role of first team coach at Manchester City was to restructure an ageing squad and one which lost its hunger, seriously underperforming last season. After three impressive seasons managing Bayern Munich, it is no surprise that Guardiola identified Leroy Sané as one of the Bundesliga’s upcoming talents and a player who is likely to play a major role in helping convert Manchester City’s playing style to the one which will have Guardiola’s identity. So who is Leroy Sané and what does he offer? His father was a lightning quick Senegalese international footballer who played for a number of clubs in Germany, Austria and Switzerland; whilst his mother was a former German national champion and Olympic competitor in rhythmic gymnastics during the 1980s. So anyone witnessing Sané in full flow will understand where his pace and elegant running style have come from. Sané made his debut for Schalke 04 at the end of the 2013-14 season, played 14 games the following season; before making a major impression last season during which time he also made his full debut for the German national team. SportsMatrix examined Sané’s performances in his last Bundesliga season to see what has made him a key component in Pep Guardiola’s plans to rebuild Manchester City. Sané is left footed and plays as a winger, preferring to play on the right wing before cutting inside onto his favoured left foot. With his explosive acceleration and the ability to keep the ball close to his feet, Sané is highly effective at switching play from defence into dangerous attack in seconds; but whilst he has good footballing vision and his passing is good, one area of his game which until now has been less impressive is his decision making process; but under the tutelage of Guardiola, this will be an area of his game which is likely to improve and develop very quickly. During his final season with Schalke, Sané made a total of 33 appearances, starting in 23 of these game. He scored eight times and providing six assists. On average he attempted 13.4 dribbles a game, with over a third (36.1%) of these dribbles rated as being successful. On average he attempted 2.6 shots on goal per game game, with 58.5% of his attempts on target and 12.3% finishing with a goal. He played no small role in his team’s attacking build-up play, with Sané averaging close to 30 actions per game in the building attack process and with a third of these actions rated as being good. Whilst it may take Sané a little bit of time to establish himself in Manchester City’s starting lineup, there can be little doubt that once he becomes established, many Premier League clubs will have much to fear from this exciting young winger. 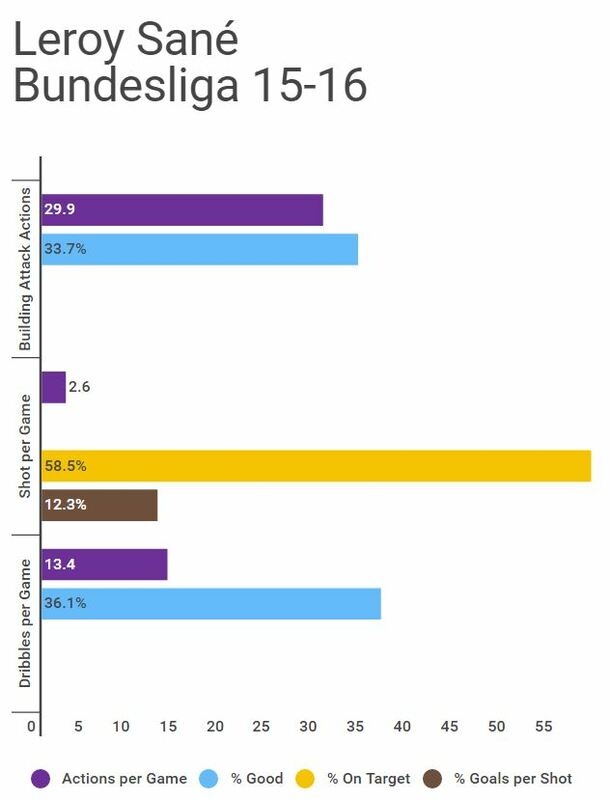 « Which Teams from Europe’s Top 5 Leagues Were Most Threatening in Front of Goal?